IT Carlow in Association with Student Sport Ireland and IATBA Committee working together to promote Third Level Boxing. 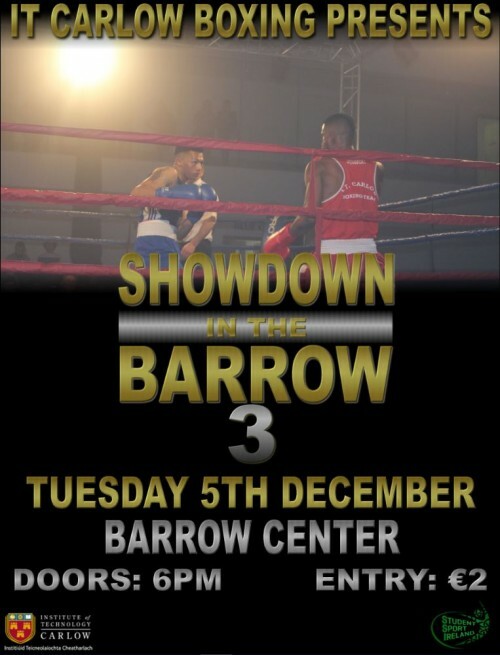 Open Novice Competition – under 5 fights (predominately for novice boxers but students with over 15 fights can be accommodated also). Please indicate no later than 28th of November 2017 how many boxers your club will be interested in entering. (Include Weights/Experience etc). Successful Fighters will be requested to provide a digital fighter profile image and their preferred entrance music.